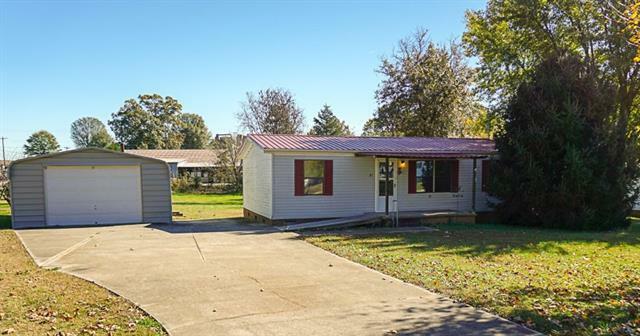 Nice manufactured home in Alexander County with detached garage (added in 2002) on a level lot. Approx. 960 htd sqft & open floor plan. 3 bedrooms and 2 full baths. Vinyl exterior, split bedroom plan, & move-in ready! Great room opens to the kitchen...appliances include refrigerator, electric range, & dishwasher(not built-in or covered). Also, the washer & dryer will remain...laundry closet off the kitchen. Neutral decor, vaulted ceiling, & covered back deck & covered front porch. The master bedroom has its very own bath & walk-in closet. Carpet & vinyl flooring throughout. The great room has a gas wall unit for "back up heat"...uses propane gas. 2 propane tanks on property are owned by sellers. 2018 tax bill was: $410.52. Furniture/wood factory behind + chicken houses nearby...see zoomed out aerial photo from GIS. Seller is not sure about what HVAC is...most likely a heat pump...buyer to verify. Year built--Manufacturer sticker in Master closet says 1994; GIS says 1997. CALL TODAY!